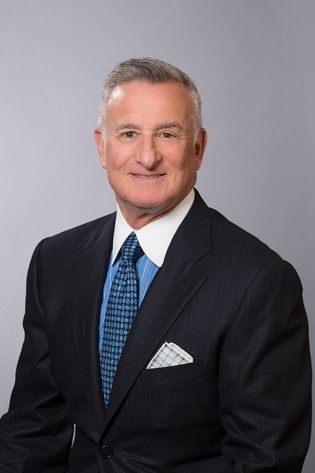 Joe has been engaged in the practice of labor and employment law for over thirty years with Laner Muchin where he is Of Counsel. Joe is a former founding member of the Executive Committee and former President of the Firm. Joe's practice covers a broad range of employment law and traditional labor matters. He also has published and lectured extensively on countless labor employment topics and is a leading authority on Employment Practices Liability Insurance. Joe is a certified mediator with certification from the DePaul College of Law Center for Dispute Resolution in Chicago. Joe is a true generalist. His practice ranges from coast to coast in virtually every industry grouping. Joe typically works hand-in-hand with clients on the full range of their labor and employment issues. Joe continuously advises clients regarding all aspects of compliance with state and federal labor and employment laws. Joe regularly defends employers in discrimination and harassment cases throughout Illinois and in other jurisdictions around the country. Joe has tried over 100 arbitration cases on behalf of employers from coast-to-coast. Joe has negotiated countless union contracts, involving virtually every major U.S. union on behalf of employers nationwide. Joe has successfully mediated numerous cases on behalf of employers including claims of harassment, discrimination, restrictive covenants, wage and hour claims, breaches of employment agreements and many others. Joe has regularly appeared on behalf of employees before the National Labor Relations Board in representation and unfair labor practice cases.